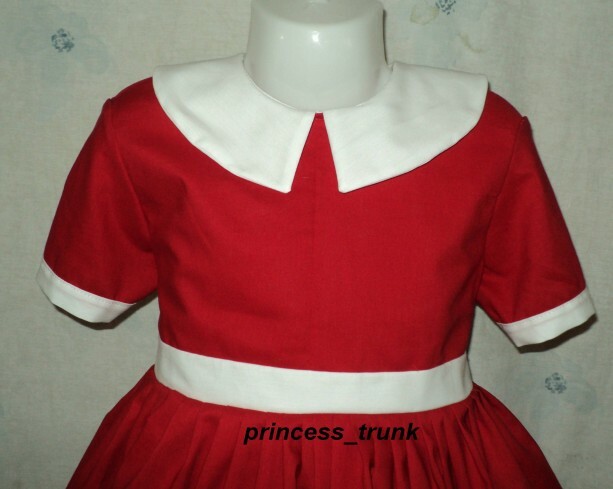 This dress designed slightly different than my other Annie dress, this dress collar is squared(not round), sleeves less puffy, another cute designed Annie dress. Great for a gift/or any Annie fan/Halloween costume/stage play, your little princess will love it. 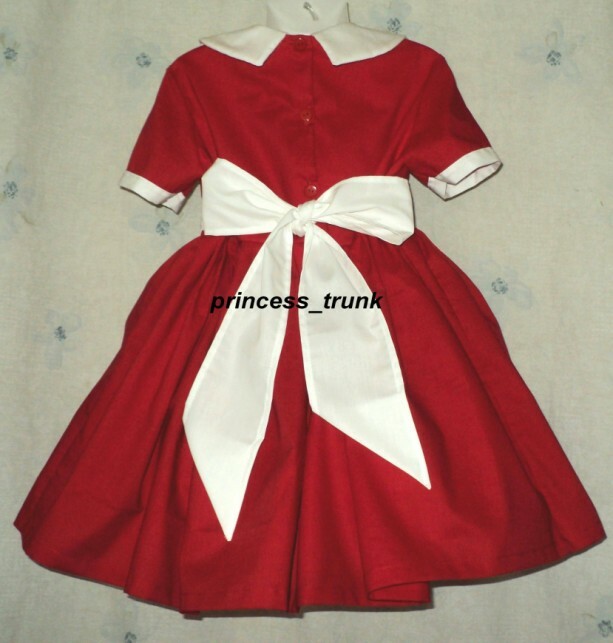 Bodice fully lined, squared collar with matching short sleeves(less puffy), matching band in front, ties made a beautiful bow at back. 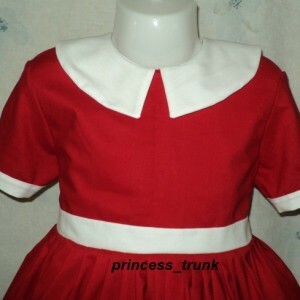 Skirt using a lot of material, 2 yards around,skirt also has several placket down into the skirt(provide wide opening)for easy on/off, 3 buttons back for closure,top quality 100%cotton material. Dry clean only. Be sure to add me to your favorites list! I design and list new models whenever I get a chance, so check me back often. 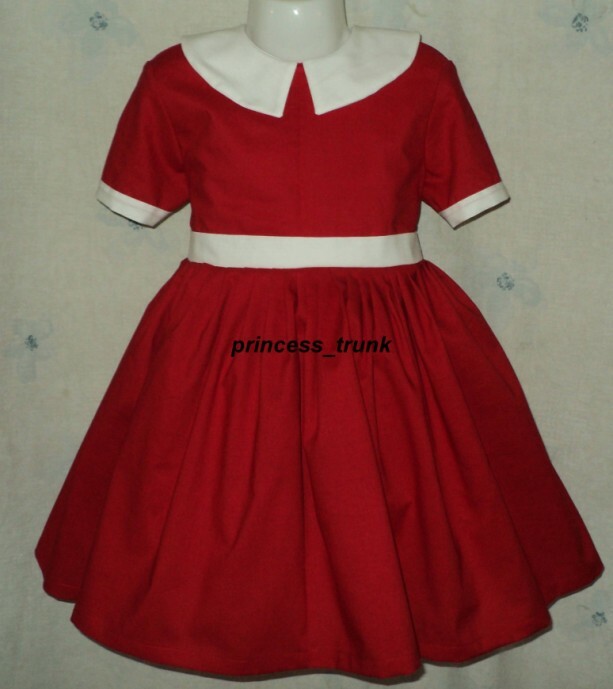 I will custom sew this cute dress in the choice you need from 12m-14yrs. I will complete and ship out your order within 5 business days after payment received. If you need it sooner, just let me know. All items come from pet free smoke free environment. For all custom size orders, I could not able to accept return unless I misrepresent my items. Make sure Check out my other items!! 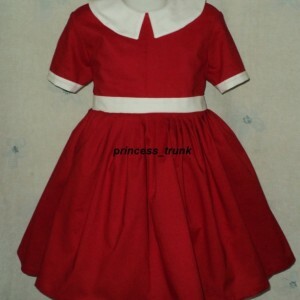 I have a lot of handmade dress and costume available. Email us if you have any more questions,... Will ship the items within 5 business day after payment received.